Spring is coming! | Earthbound, Inc.
Spring is coming! Yesterday was beautiful and today is a little foggy but that is ok! Were almost done with winter. The past few weekends have been very busy for us. We have been to Hasslett, Mason, Northview, West Ottawa, and East Grand Rapids. We were there for swimming championships and districts. Here are some pictures of the events. 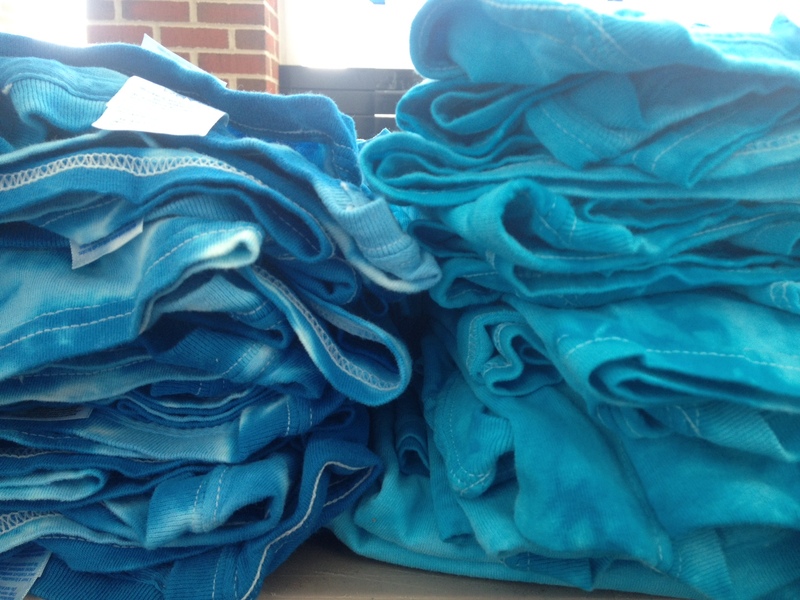 The new color of Tye-Dye that we have been getting is the Turquoise Tiger Stripe. The kids really like it because it looks like water. I am currently in the process of making a video to show everyone how screenprinting is done. Lots of people don’t know how the whole process works.